From 22 to 25 of May, 2008 I attended the 10th Tage-der-Typographie in Bielefeld, Germany. This event offered workshops in the field of graphic design and typography for around 50 participants with experts in the field. 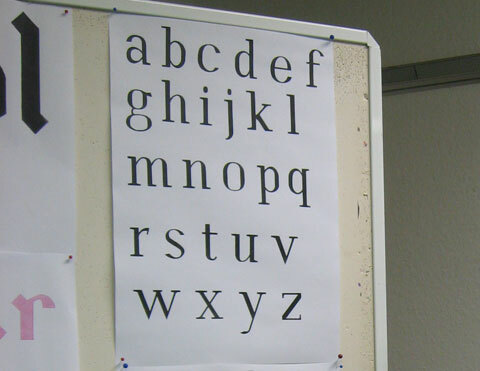 I attended Paul van der Laan's type design workshop. Using a pixel font as a base we constructed our own typefaces. Sketches were executed exclusively in an analog way by using hand, pencil and paper. 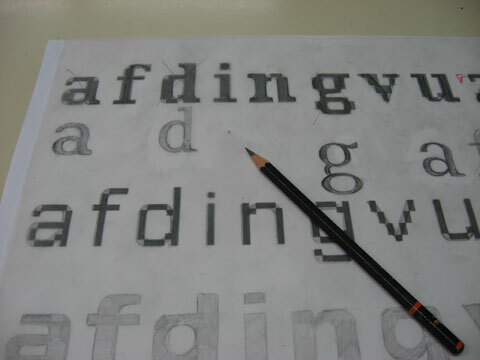 Although every participant used the same grid, all typefaces looked totally different. In the three workshop days most came up with a whole alphabet and some words.